The Lemur Conservation Network member of the month showcases our members’ work, and shares how we can help them in their battle for lemur conservation. The month of April is dedicated to ONG Reniala- The Lemur Rescue Center. In this blog post, we interviewed Maurice Adiba, Founder of the Center, who tell us all about their important work and how we can support them. 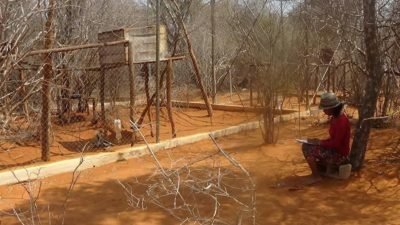 The lemur Rescue center created by the NGO Reniala responds to the problem of keeping lemurs illegally in captivity in Madagascar. 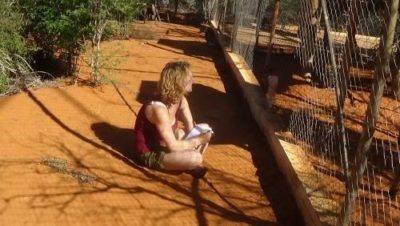 Tell us a little bit about the history of the Lemur Rescue Center. In 1998, Maurice ADIBA founded the private reserve Reniala in parallel with the NGO Reniala. A science teacher, Maurice was very sensitive to Madagascar’s environmental problems while teaching in Tulear between 1990 and 1993. 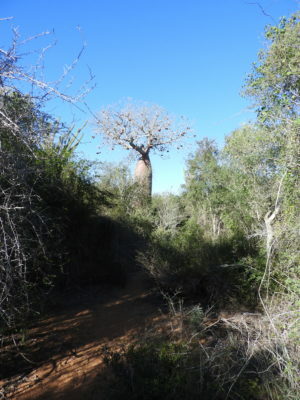 The NGO Reniala has been working on the Reniala Reserve site as an environmental manager since 1998. 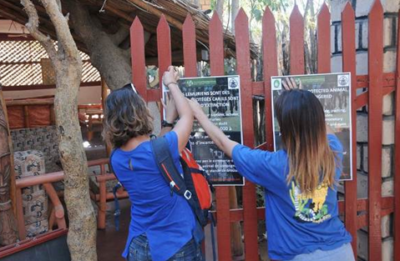 The NGO is responsible for monitoring the fauna and flora. 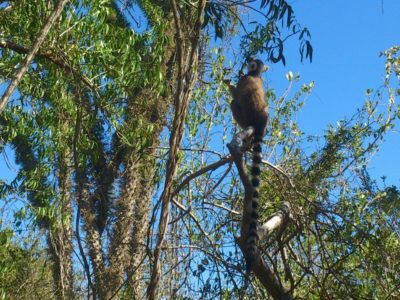 Following an interview with the Director of the Tulear Water and Forest Office and the observation that Lemur catta are still considered pets today, the NGO Reniala undertook an ex situ conservation action of Lemur catta in 2011. 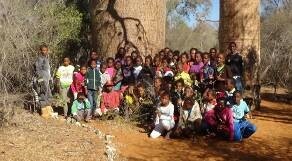 It is with care and respect for Malagasy legislation that the program was set up. 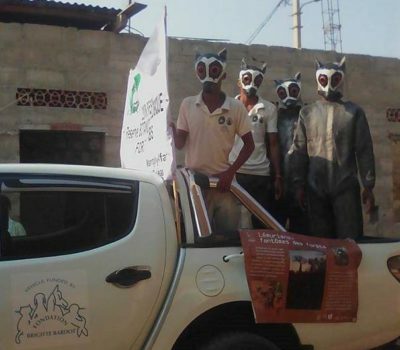 The critical initial situation and increase in the detention of lemurs by private individuals, prompted the NGO RENIALA to act quickly. 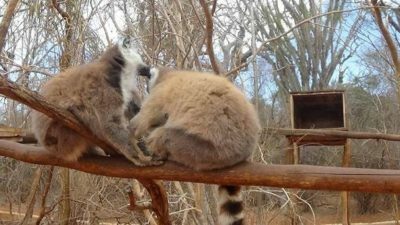 The Lemur Rescue Center was built within the RENIALA Botanical Reserve in the thorny dry forest of Mangily (South West Madagascar). 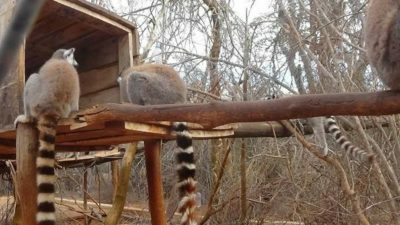 Working with the authorities, 39 lemur catta and two Eulemur rufifrons were received. Since the creation of our center, we have continued to respond to spontaneous requests for the reception of makis by private individuals. Where is the Lemur Rescue Center located? The NGO Reniala and the LRC are located in the south-west of Madagascar in the Antsimo Andrefana region 30 km north of Tulear near the village of Mangily. It is a tourist zone which is the culmination of the RN9 axis. The geographical location of the area under consideration is subject to strong demographic pressure. The forest of Reniala is located not far from a tourist coast zone, which leads to speculation on forest lands. 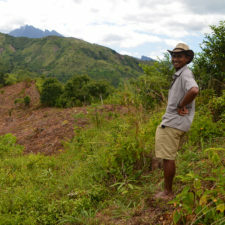 This area is classified as an agricultural zone; Malagasy legislation grants public land in agricultural zones by simply razing the forest and planting maize or cassava. However, this area has an extraordinary richness of endemic plants and animals, true reservoirs of genetic diversity. Our action to preserve the forest goes hand in hand with the protection of lemur catta (ring-tailed lemurs). In conjunction with the destruction of forest habitat, adult lemurs are hunted for bushmeat and resold young. 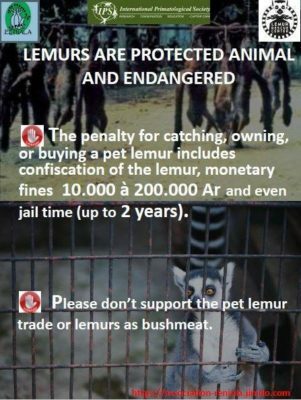 People who buy young lemurs for pets or for pleasure in hotels are often not aware that this is illegal, or they think they are protected from seizure because the authorities in charge of wildlife management lack of means to enforce the laws. In 2015, we received ministerial approval (MEEF) to carry out our mission: to release lemurs from captivity. In order to increase the effectiveness of our final objective, we set up awareness-raising activities which serve as reminders of the law and environmental education and often involve large-scale events. We are currently breeding two species of lemurs, Lemur catta and Eulemur rufifrons. Lemur catta is one of the 25 most endangered primates, an icon of Madagascar and a great danger. Images of Lemur catta of zoos or in selfie with humans give a very bad impression of abundance of the species. How does the Lemur Rescue Center help lemur conservation? To begin the re-introduction program, three social groups are formed. The formation of a social group is a long process and follows several steps. Each lemur has a different behavior and has experienced different situations before his arrival at the LRC, so the re-introduction of individuals to the wild requires a lot of time. 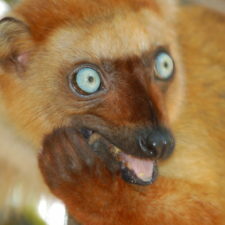 Some lemurs with extreme stereotypical behaviours, probably due to trauma, cannot be introduced into a group. The first stage consists of visual contact that is made through the screens without the possibility of touching the individual and the group. The second stage is an olfactory and visual contact that allows individuals to recognize themselves through branches deposited in both cages and swapped after one or two days. The third stage consists of visual, olfactory and tactile contact, allowing them to touch each other through the meshes of the screen. It is through knowledge that the solutions will come. The NGO Reniala has established contacts with the Universities of Tuléar, Tananarive, Belgium, France and other countries. We have participated in the development of scientific education and research at the Faculty of Sciences of Tulear by sending 36 microscopes and equipment to carry out practical work in animal physiology, botany and plant physiology. We celebrate with the people in our region for World Lemur Festival, International Forest Day, World Animals Day, and more. 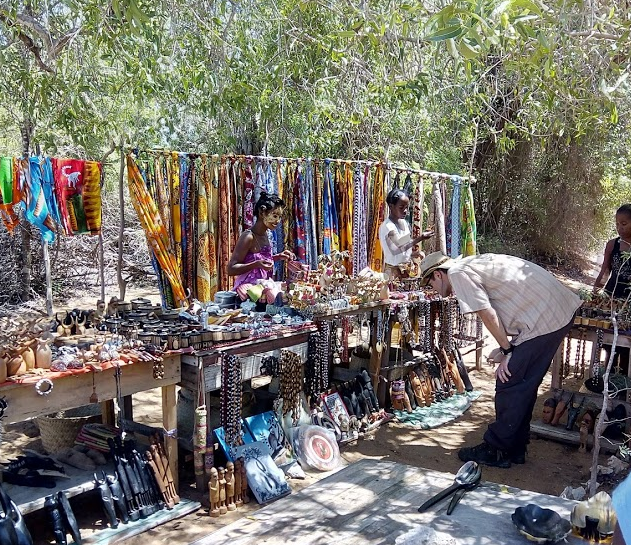 We put at the disposal of a women’s association a place for the sale of handicrafts. 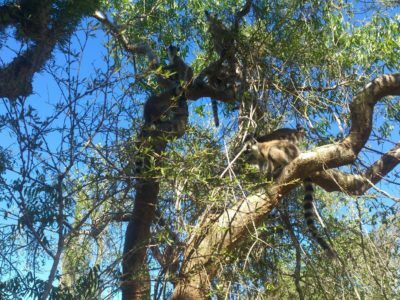 At public and private schools on two themes: lemurs and their environment, including the pressure and threats they both face. At the College of Mangily on the management of marine and terrestrial natural resources. This is an opportunity to highlight forest products as everyday materials. We have manufactured the brushes from forest materials and the colours from dyes obtained from plants or food colouring. 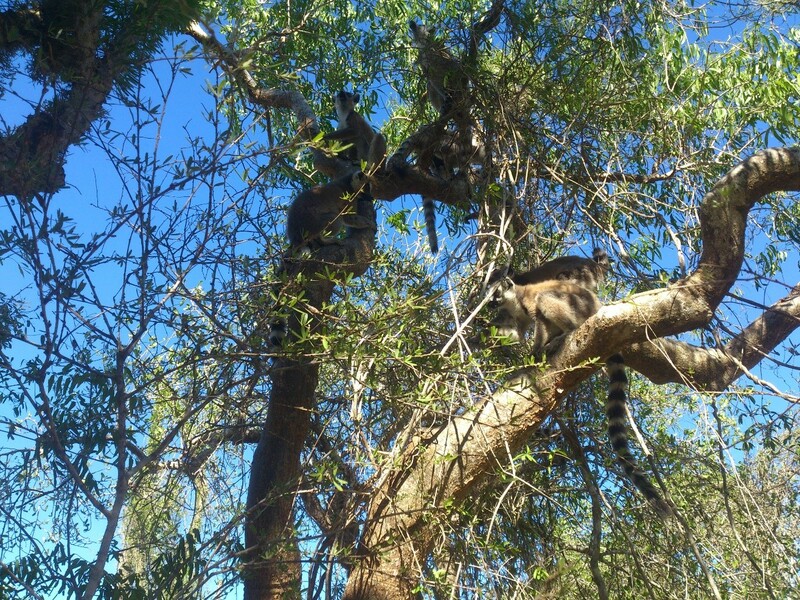 On 12 January, we released a group of 13 lemur catta in the 60 ha Reniala forest. Observations are carried out by master’s or undergraduate students, French or Malagasy, where we continue to collect data. A scientific council was set up in March 2018 bringing together primatologists, members of the various ministries concerned (research and education, environment, ecology and forests of both Tananarive and Tulear. Everyone adheres to the release and translocation project. 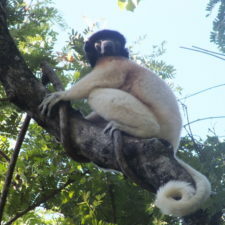 We are strongly involved in actions to protect against the illegal captivity of lemurs and the trafficking of turtles. The NGO Reniala actively participated in the workshop of environmental actors of the Atsimo Andrefana region for the adoption of measures and strategies to deal with pressures in the Atsimo Andrefana region. Our collaboration with DREEF and the University of Tuléar should result in 2018 or 2019 in establishing the most favorable zone for the permanent release of Laurence’s group. Our action goes beyond the borders of Madagascar. We will soon welcome a group of 6 lemurs from Argentina. 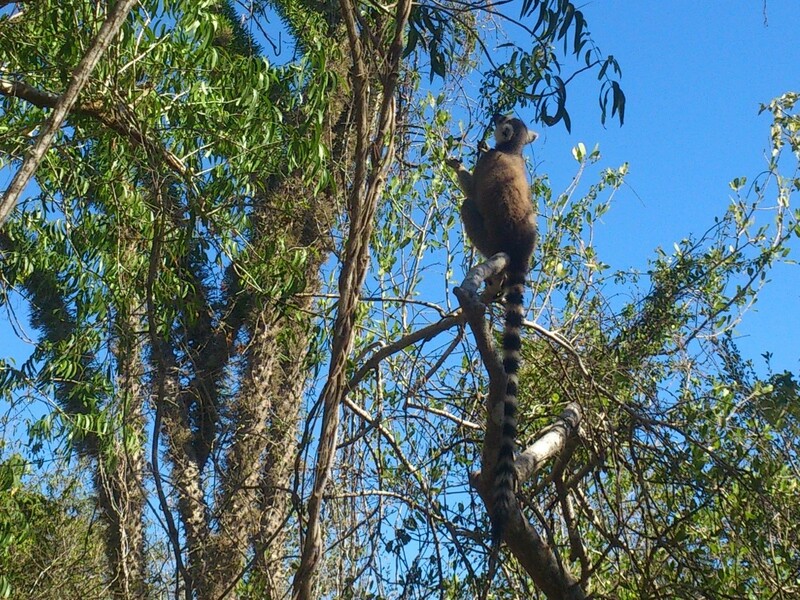 The Buenos Aires Ecopark has chosen to no longer present the lemurs but to hand them over to their country of origin. 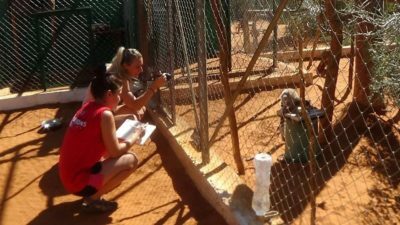 It is a long and rigorous work which requires us to take all the necessary precautions for the sanitary state of these lemurs. We are currently working with a group of high school students to study the possibility of tracking lemurs released into a forest by drone. We will continue our fight against the retention of lemurs in captivity illegally, often in dramatic conditions. We will fight for their return to wildlife. We will fight against tourist selfies with pet lemurs, because they give a bad image of the state of the lemur population. 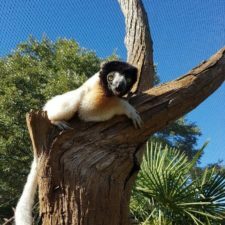 Do you have volunteer opportunities at the Lemur Rescue Center? Cynthia, Merikan, Sarah, Klara … we have had many interns and volunteers who took part in our unique project in Madagascar to release lemurs from seizures or born in captivity. Volunteers and interns bring their time, skills and expertise and also participate in a great adventure. 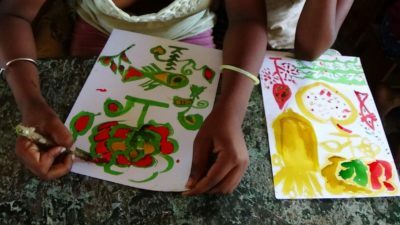 Madagascar’s biodiversity is unique in the world and is worth participating in a program that is just as unique in the world. We need donations at different levels for lemur care, travel, staff salaries, and food expenses of the lemurs, which have increased significantly because of recent cyclones that have hit the island. As a result, the supply of fruit and vegetables to the city of Tulear has been problematic in terms of quality and quantity. 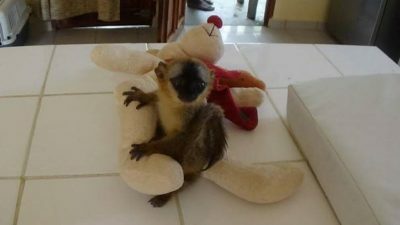 We also need donations for our release program and for the tracking of Laurence’s group of lemurs. Funds will help us purchase GPS collars, fund the tracking, and provide temporary infrastructure needed for the permanent release. You can make a transfer by paypal of 5 euros per month by becoming “Amis des Lémuriens” or by making a donation by paypal, here. Visit ONG Reniala’s profile page on LCN. Follow ONG Reniala on Facebook.